After the glitz and glamour of last year's metropolitan Grand Départ in the German city of Düsseldorf, the upcoming first weekend in July will bring a distinct change of gear for the cycling world. On Saturday July 7, the starter's flag for the 105th Tour de France, the world's most famous bike race, will be waved in the rural tranquility of the Vendée, on France's west coast. The organizers of the Tour de France, ASO, have opted for a complete contrast to the 2017 start to launch this year's three-week stage race around France. Following on from Düsseldorf with its bright lights, high-end shops and an old town reputed to be "the longest bar in the world”, the 2018 Grand Départ will be based around the enchanting island of Noirmoutier, the marshlands of the Vendée and the hills and heathlands of Brittany. 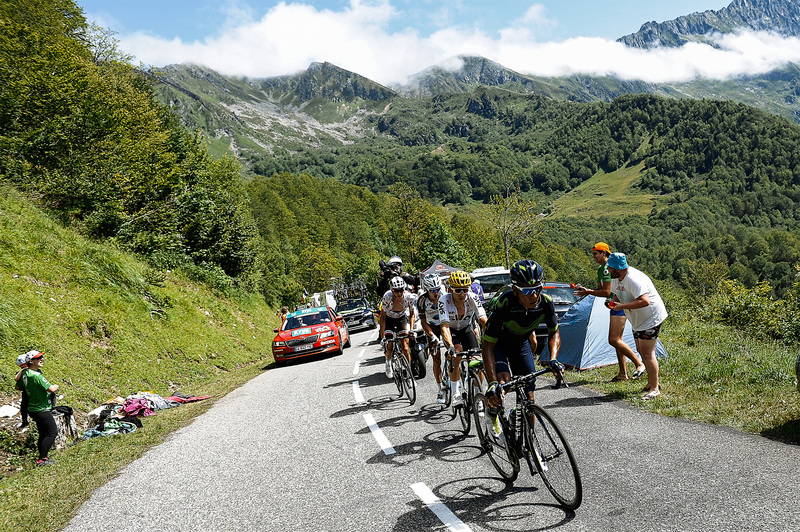 For the riders from the 22 teams competing in the Tour de France, however, the stunning scenery will not mean they can relax and enjoy the views as their three-week "Tour of suffering" gets underway. Quite the opposite. The first two stages will see them race over 182 kilometers on the Saturday and 201 kilometers on the Sunday. Then they're straight into the Tour's first big test, a 35-kilometer team time trial on the third day of the race. And this year, the Grand Tour teams will only have eight riders each, down from nine last year. The team time trial should give the riders from the teams using equipment from tire specialist and Tour de France sponsor Continental an initial indication of their own form, and of what shape their competitors are in. 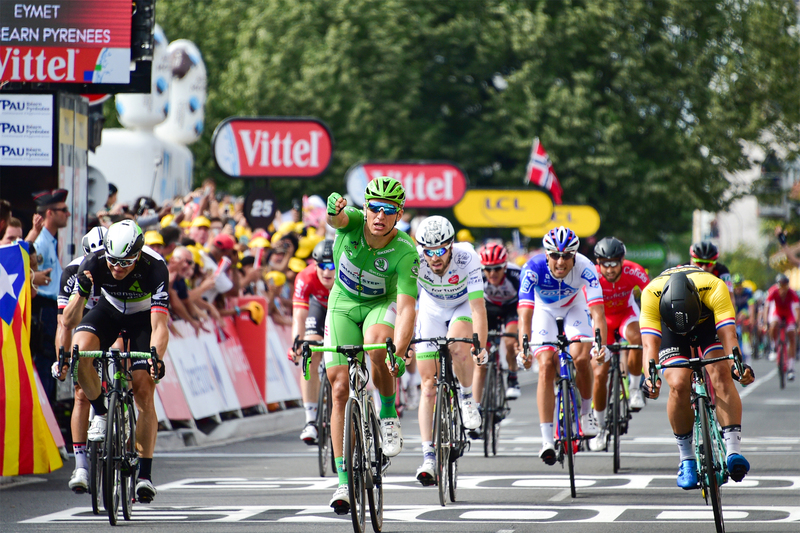 And in 2018, the world's top professional cyclists will again be using Continental products. A total of seven teams will be riding on tires made specially for the Tour by the German racing tire specialist at its production facility in Korbach as they tackle the 21-stage race, which as usual will also feature two rest days. The list of teams, their team leaders and the top riders reads like a "Who's Who" of professional bike racing. 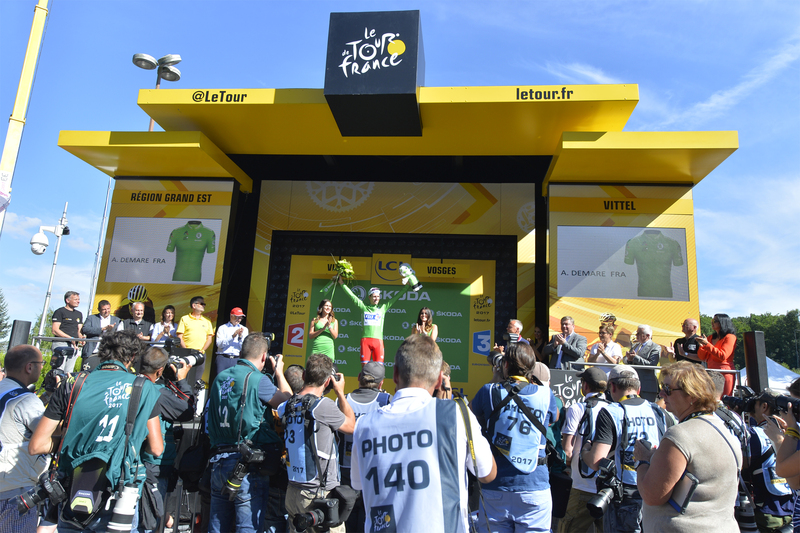 Continental will be supplying equipment to seven top teams: Sky – with defending champion Chris Froome – Movistar, Bahrain-Merida, Katusha Alpecin, Française des Jeux, AG2R and Dimension Data. Which means that this year, one third of the peloton will be racing on Conti tires. At Team Sky, the focus is on the team leader, four-time Tour de France winner Chris Froome. There was a question mark hanging over the British rider, who won the Giro d'Italia three weeks ago, following his adverse analytical finding at last year's Vuelta a España. But world cycling's governing body, the UCI, has now closed its case against Froome who is thus entitled to race. 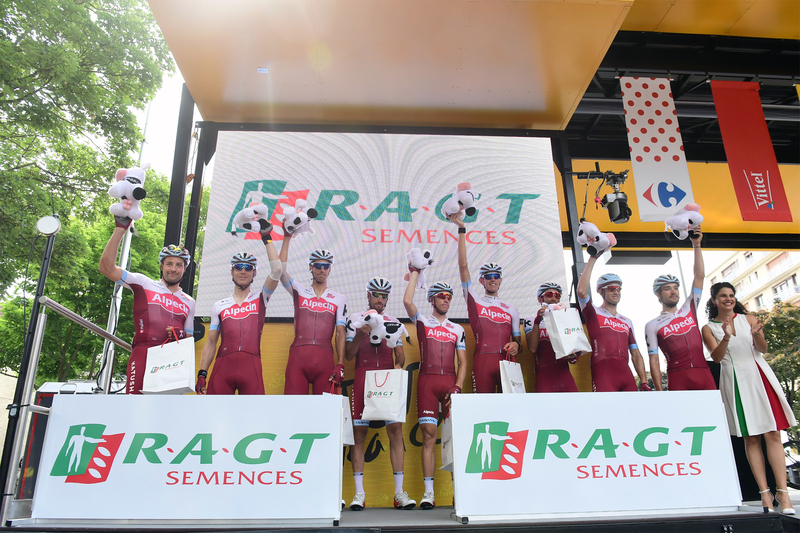 Three top riders at team Katusha Alpecin come from Germany, with time trial specialist Tony Martin, top sprinter Marcel Kittel and Rick Zabel, the son of six-time Green Jersey winner Erik Zabel. Kittel took five stage wins in the 2017 Tour, more than any other rider, but he is playing down his chances ahead of this year's race. "You can never set the goal to go for five stage wins in the Tour, against all the world's top sprinters. My goal, as always, is to win a stage. That's quite hard enough." Now 30, Kittel is working closely with Zabel, Martin and another German rider, Nils Pollit, to put the finishing touches to the lead-out train so that it positions him perfectly for the sprint on flatter stages. Spanish team Movistar have big ambitions for 2018. After fielding two team leaders last year, the Spanish team in the dark blue jerseys will travel to the Vendée with three top riders this year. Nairo Quintana, Alejandro Valverde and Mikel Landa are looking forward to taking on Chris Froome and his helpers. Unusually, all three riders are designated leaders. But the Spanish team are aiming for strength in depth, so they are ready for all eventualities, and experienced pro Alejandro Valverde can always be relied on to offer cycling fans plenty of excitement. At 33, British sprinter Mark Cavendish, has consistently featured as one of the world's top sprinters over the past ten years, and he will lead the Dimension Data team. "Cav" has been fine-tuning his form at the five-day Adriatica Ionica Race in Italy and as always he will be targeting the bunch sprints, when the fastest riders in the field sprint it out for the stage victory. Cavenish's lead-out men Mark Renshaw, Reinardt Janse van Rensburg, Jay Thomson und Nic Dlamini and Ryan Gibbons will work together to put their leader into the best position to unleash his sprint for the finish line. The French AG2R team's eight-man roster will be supporting team leader Romain Bardet, who finished third overall in last year's Tour de France. Now 27, Bardet is a climber, a man for the mountains who will be looking forward to the road heading uphill in the Alps and the Pyrenees. 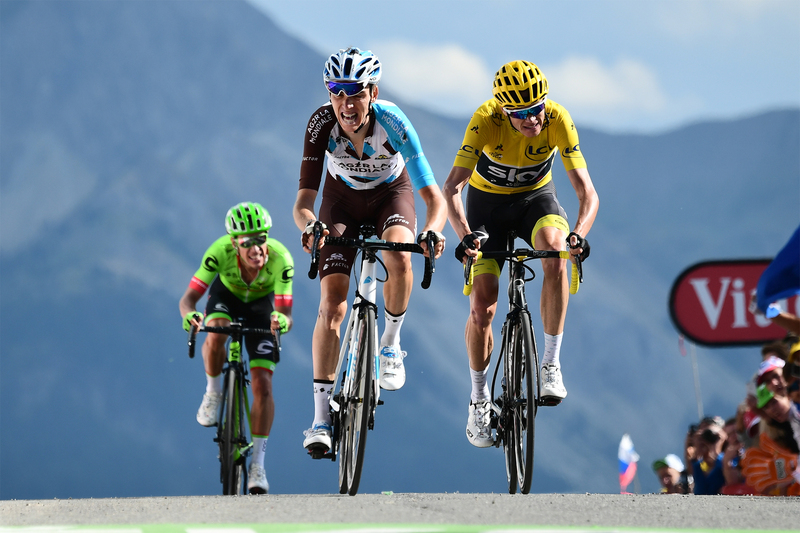 It is 33 years since a French rider last won the Tour de France, when Bernard Hinault won the Yellow Jersey back in 1985, and French cycling fans will again be looking to Bardet to deliver France's next "home win". Bardet will be supported by French riders Pierre Latour, Axel Domont and Alexis Vuillermoz, along with Belgium's 2017 national road race champion Oliver Naesen. With their leading rider Thibaut Pinot unable to ride the Tour de France due to illness, France's Groupama-FDJ team have had to rethink their plans and the make-up of their squad. Pinot has matured into a serious General Classification contender in recent years, and in his absence the team will aim to get their riders into breaks, focusing entirely on stage wins rather than the general classification. The eight-rider line-up is headed by sprinter Arnaud Démare, who the team managers feel is a sure bet. With bunch sprints likely unless crosswinds break the race up, the first stages along the Atlantic coast have taken on unexpected significance for FDJ. Directeur sportif Yvon Madiot is convinced that this approach will work for them: "Arnaud has worked hard to ensure he is in top form for the Tour. FDJ's team managers and riders all have 100 percent confidence in him." Twice French national road race champion, Arthur Vichot will also have the freedom to target stage victories. Bahrain-Merida is another team that is built around one rider. Italy’s Vincenzo Nibali is the undisputed leader and figurehead of this new team, which picked up two podium places in Grand Tours in 2017, the year it was founded. The team has been built around Nibali, who was third overall in the Giro and second on general classification in the Vuelta last year. He is a big hitter in the peloton, and he will be right at the thick end of the race for Bahrain-Merida, the team that is sponsored by the government of Bahrain. They have also signed up experienced 35-year old grand tour rider Domenico Pozzovivo (who previously rode for AG2R) to act as a super-domestique for "The Shark of Messina", as Nibali is known.